Giving medication to your dog – what owners need to know to help administer their pet’s medicine. Whether your pet is on long-term prescribed veterinary medication or a short course of pills, it is good to know how to best present medication to your pet to make it easy for them to swallow. When your dog is unwell, it can be distressing for both of you, made worse if your dog is reluctant or unwilling to swallow their medicine. We have some tips that can help smooth the process along. We’ll cover everything from what you need to ask the vet, to how gravy can be your best solution in this stressful situation. Why the medication being prescribed? Always ensure your vet knows if your dog has had an adverse reaction to any medications in the past. Make sure you know what signs to look out for if they develop an adverse reaction this time round. Tell them about any other prescribed medications or over the counter products you may also be giving your dog. What you should do if you miss a dose or accidentally give too much. Here are some top tips on how to help your dog take the medication. It may take patience and practice, but you should find the perfect method that works for both of you. Always follow the instructions that come with the medication carefully. Never give a pet medication intended for a human or another pet. Keep all medication out of reach of both children and pets. As with antibiotics in humans, pets must finish the course of medication prescribed, unless otherwise advised by your vet. Dispose of all medication that has expired or remains unused in a safe manner. Never re-prescribe medicine yourself, even if you think your dog has the same problem as before. Your vet is the only person who can make that decision. A good way to administer your dog’s medication is by disguising it in food that they cannot resist. 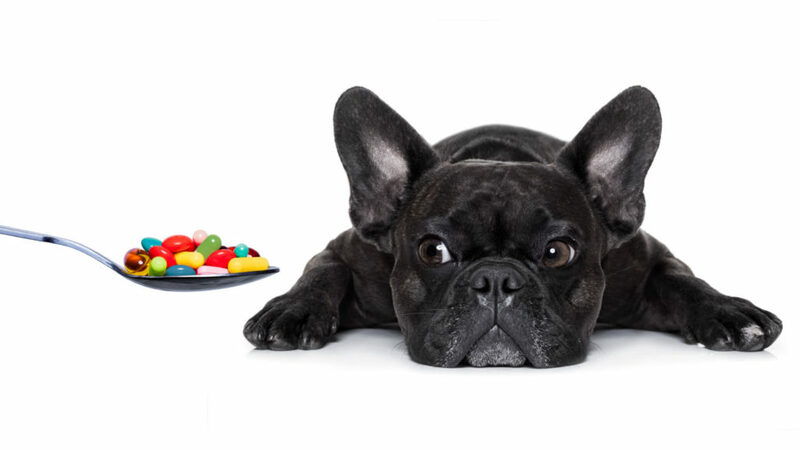 Spreads or moist foods don’t only disguise the pill, but can also help your pet swallow pills more easily. Pet owners report that meat or crunchy peanut butter are good ways of hiding pills. If all else fails, one pet owner swears by covering his pet’s pills in gravy, and says it works every time. It is important, however, that only a small amount of food is used so that it does not require chewing in order to be swallowed, as breaking pills up can affect the way they work. Sometimes, disguising the medicine doesn’t work, with dogs often quickly realising that a pill has been concealed in their treat, meaning they spit it out immediately. Some medications are now supplied as chicken or beef-flavoured pills, which are far more appealing for your pet, it’s always worth asking your vet if these options are available. 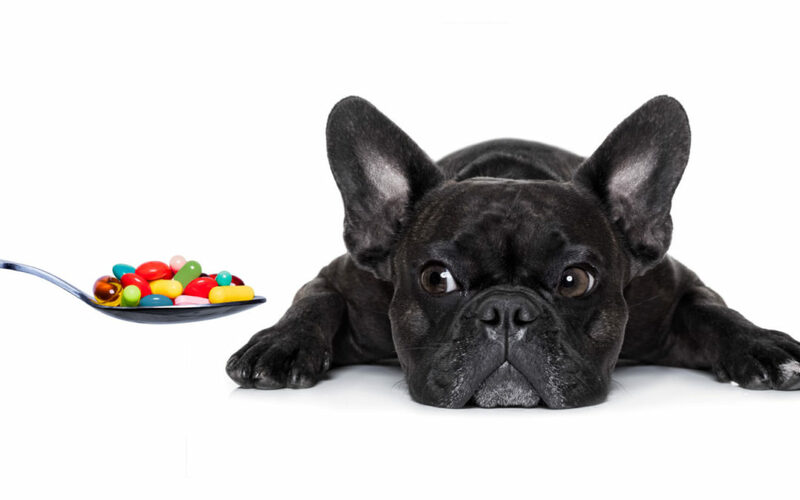 Remember though – if your pet finds them too delicious, they may want to eat them all, so they must be kept totally inaccessible, as you would with medicines and young children. You can also buy pill pockets – tasty treats in which you can hide pills and the flavour of the pocket masks the taste and smell of the medication. If flavoured pills aren’t an option, you could also try putting the pill directly into their mouth. Place the pill at the back of the mouth, close their mouths and raise their head up. Massaging your pet’s neck or blowing gently in their face helps them to swallow. Pill guns or plungers are long tools designed to make taking pills easier for pets. The tablet is placed at the end of the syringe and water is used to push the pill to the back of your pet’s throat. Offering medication with a treat can be successful when your pet is happily walking or in the car and distracted by their surroundings. Play a catching game with a few treats, then throw a treat which contains the pill. Distracted by the fun of the catching game, your pet might not notice their medication. If you need further help, ask your vet for guidance. Your own safety is the priority so if your pet starts to growl, show signs of distress, or you think you may be at risk of them biting you – stop immediately. 1. Draw up the correct dosage of liquid medicine into a medicine dropper or syringe, and then gently place this in your pet’s moth, between their gums and their cheeks. 2. Raise their chin up, pointing their head towards the ceiling and very slowly push the medicine through the syringe and into their mouth. Make sure you allow them to swallow as you go, should they need to. 3. Continue to give them the medicine in this way, until they have swallowed the complete dose. Use your non-dominant hand to hold their eyelids open (this is because you’ll need your dominant hand to deliver the eye drops as precisely as possible). With your dominant hand, hold the tip of the eye drops applicator approximately 1cm above their eye, ensuring you don’t touch their eye at any stage. Squeeze out the correct number of drops/amount of cream and allow their eyelids to close. Hold your dog’s ear as open as possible, gently pulling up from the base of the ear in order to straighten their ear canal. Take the eardrops and gently put the tip of the bottle or tube into their ear and squeeze in the correct number of drops. 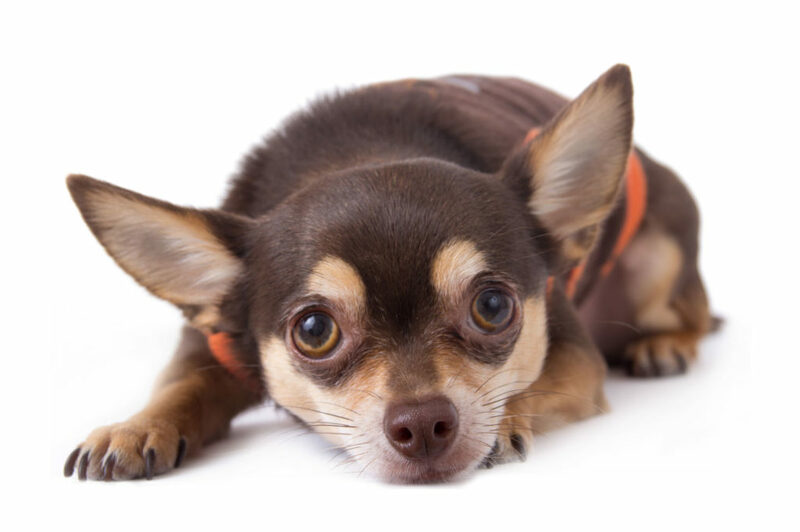 If your dog is suffering from an ear infection, they may be particularly sensitive, so when you massage the base of the ear in order to spread the medication through the ear evenly, take extreme care and stop if they show distress.